Well what do I say about this mascara? After receiving a tester size version in what I think was an Elle magazine a few months ago and using it up after only a week or so, I knew I had to buy the full size version. At the standard Benefit price of £19.50, I wouldn’t say it’s extortionate and in fact I’d continue to purchase this at it’s full price. The wand itself is very similar to the Maybelline Lash Sensational mascara which I reviewed here but a lot thinner and easier to use. 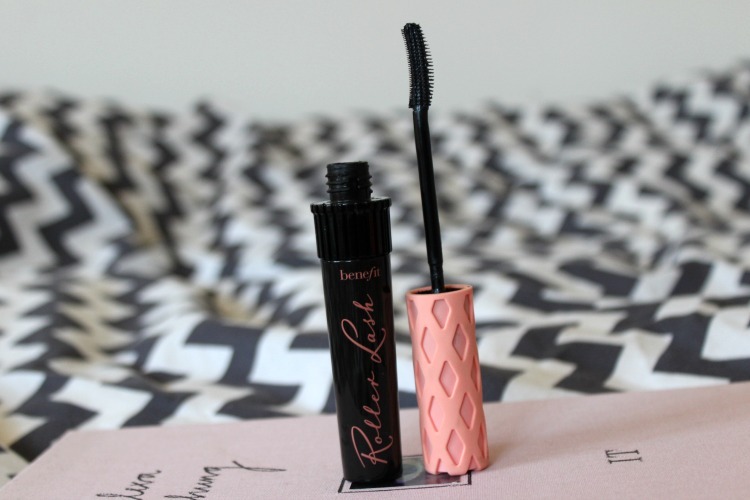 Benefit claim this is a ‘super-curling and lifting’ mascara which I’d honestly agree with. The longevity of this mascara and the formula is impressive and if you look carefully you’ll notice little hooks on the plastic brush which help catch the eyelashes when you apply the product, resulting in long lasting, curved lashes. The formula is also clump free, easy to remove and doesn’t transfer which is perfect for these warmer months. All in all, this is my favourite mascara at the moment and I won’t be looking to use anything else any time soon. I prefer it a hundred times more than their infamous They’re Real mascara but it’s a close call when comparing it with the Maybelline Lash Sensational mascara, which I also adore.